I recently heard the story of a person who said “If I worry about it, it won’t happen.” So maybe we should worry! Ha! Why is that story funny? It is funny because 99% of the stuff we worry about never comes to pass. But yet we worry. We can allow our minds to go wild with worry. We can’t stop and we wonder if it is possible to stop. Generally these things are fear and emotion based – not factually based. In scientific terms, worry is based in something called cognitive distortion. When we allow our emotions to control our minds, our thinking. I do this regularly, and actually allowed my emotions to control my thoughts a bit this past week. We had our youth lock-in on Friday night, and I was chaperoning, so I knew that meant a night of no sleep. I also knew the lock-in was going to be fun, but in worry and fear, I allowed myself to dwell on thoughts that weren’t even close to true. Those thoughts were cognitive distortions. Just some simple thoughts like “I’m going to feel horrible” or “the next day is going to be awful” can lead to a sleepless few hours. And they did. What actually happened at the lock-in and aftermath? It was an awesome, fun night, and I was able to get four hours of sleep Saturday morning. I was a little tired that day, but now a few days later, I don’t feel horrible or awful. Instead, I have great memories of a fun event. We can allow ourselves to let our emotions control us. So when Jesus says “Do not worry” the first thing we realize is that it possible to make progress in decreasing our worry! He wants to us fight worry in our lives. Jesus teaches us how to decrease worry. In this passage, Luke 12:22-34, Jesus goes on to give illustrations of how our life is more than food and how our body is more than clothes, as he seeks to help us learn to deal with worry. First he talks about Food and Ravens in Verse 24. God feeds the birds, right? He has provided a world where they can eat. So what is this illustrating? Jesus gets to the principle in verses 25-26: worry can’t actually help us, so we shouldn’t worry. If God cares for birds, how much more you are valuable to him. Second he talks about Clothing and Lilies in Verse 27. Not even the fabulously wealthy King Solomon, the richest man in Israel’s history, was as gorgeous as the lily. Jesus is saying that God has made nature beautiful, of which flowers are a stunning example. Again, Jesus gets to the principle in Verse 28: God clothes the grass, how much more will he clothe you. Did you see the phrase that Jesus repeated? How much more! God has made the world a place that feeds the birds, and he has made loads of spectacular flowers. But How Much More he cares for you! Sometimes we need to be reminded of the basics. Soak that up deeply: God cares for you. I am preaching this to myself for sure. When I’m lying on my bed in the middle of the night worried about this or that, I can tell myself the truth that God cares for me far more that I realize. There is a great power in that thought! Use the truth of God’s care for you to mentally attack that worry. Defeat it. You can think, “No, I don’t need to worry to about bills or the kids or (you fill in the blank), because God cares for me more than I can imagine,” then watch the worry gradually fade away. Over time, and it might be weeks or months, you’ll notice that you are depending on God’s care, and you are worrying less. He doesn’t promise that all the bad circumstances will go away. He doesn’t promise that everything will be great. But he promises you aren’t alone. He sees you. He hears you. He knows what you are going through. He cares for you DEEPLY. Jesus has another way we can attack worry. First we remember that God cares for us, and second, look at verses 31-34. He says we need to seek his Kingdom. That is the second antidote to worry. Seeking his Kingdom is another way to describe obedience to Jesus. When you are obedient to him there is peace in your heart and mind before the Lord. When you are obedient, you are not expecting that God will reward you with material abundance, but that your hearts are right with him. You are at peace with him. What an amazing place to be in! And when you are focused on his Kingdom and not on yourself there is perspective on the worries of life. Peace with God gives you strength to fight worry. You can trust in him amid the difficulty, amid those struggles in life that bring you anxiety. Furthermore, Jesus says, you can sell possessions and give to the poor. The early church took this seriously. We don’t need to store up possessions because we know God cares for us. We can seek the advancement of his Kingdom rather than lavishing ourselves with comfort and entertainment. In other words, Jesus says, find your treasure in heaven. Obedience is its own reward! To know that I am being pleasing to my father, that is the reward. We have his kingdom! That is the ultimate reward. That is better by far. It is amazing that God has given us his Kingdom. Knowing that God is pleased with us, because we are seeking first his Kingdom is the reward, the blessings. Thus we can be at peace, feel peace, knowing that we are right with God. It cannot be underestimated how incredible it is to know that we are pleasing to God. This is why Jesus says, “Where your treasure is, there your heart will be also.” In other words, put your treasure where you want your heart to be. If you put your treasure in entertainment, luxury, possessions, vacations, food, then your heart will be there. And you will watch those things feel good, but only for a season. They fade, and the anxiety returns. If you put your treasure in the kingdom of God, there your heart will be. And you will find lasting peace. So how do you put your treasure in God’s Kingdom? Take a step of faith to trust in God that he will do what Jesus says he will do: God will care for your needs. So take a step of faith, perhaps to give more generously this next week. Say to God prayerfully, teachably, “Lord, I’m going to trust you in this.” It might be frightening, but you will never see forward progress if you don’t take one step. Place your trust in him, depend on him to care for you. 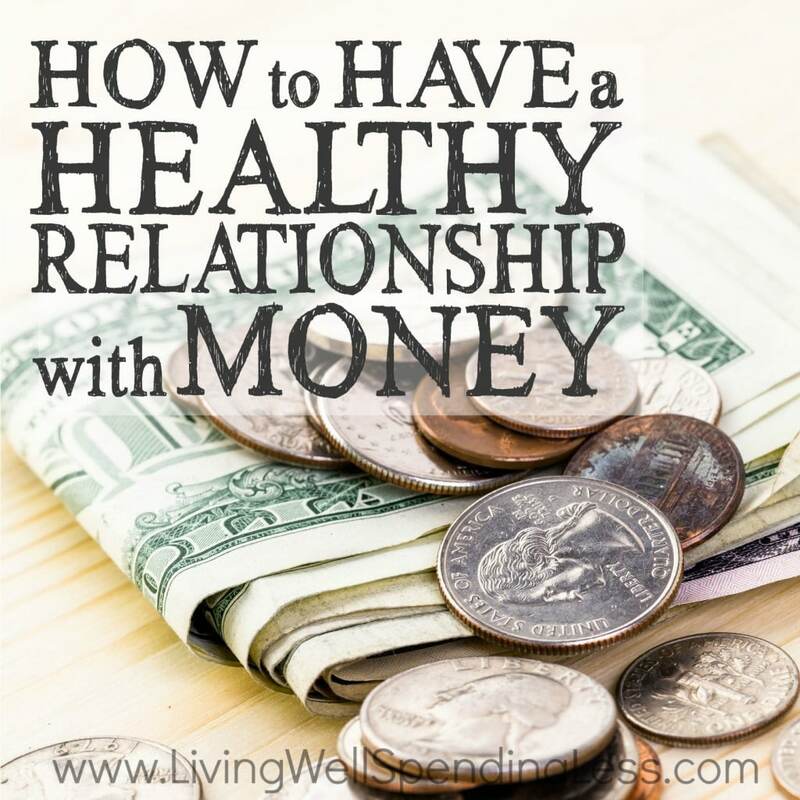 What Jesus is talking about is not just financial. You can also implement the Sabbath principle in your life. Instead of working 24-7, take time to rest, worship, fellowship serve. Seek his Kingdom. Show that is where your heart is. What do you need to do to take the next step toward seeking his Kingdom? It is super exciting to trust in the Lord this way! No doubt, stepping out in faith can feel anxiety-inducing. But we need to see the joy and adventure and exciting of taking a risky, step towards God. One man told me the story about his retirement. He was accustomed to getting a paycheck. The move to retirement-level income was risky, but he asked God to provide. And you know what he did with retirement? He and his wife started increasing the amount of their time serving in church, meeting weekly here at the church to pray for hours at a time, caring for family members, helping at a local transitional housing ministry, teaching Sunday School, and the list goes on. That is what seeking God’s Kingdom looks like. And that is how to decrease worry in your life. Dwell on the truth that God cares for you deeply, and seek his Kingdom. The angels said to the shepherds “peace on earth, goodwill to men” that night Jesus was born in Bethlehem. But many of us do not feel like Christmastime is peaceful or filled with goodwill. In fact many of us are afraid that we will have what Elvis Presley sang about, “A Blue Christmas”. Or we get so harried by the shopping, the traffic, the preparations, decorations, and expenditure of money we don’t have, that we end up frazzled. Worse, we can truly get stressed out. So how do we navigate the intensity of Christmas? I would encourage you to participate in Advent, which begins this coming Sunday, November 29. Advent is a four-week preparation time that ancient Christians created to help disciples of Jesus prepare themselves for the celebration of his birth. Nowhere does the Bible teach about Advent. But in the same way that the Bible doesn’t teach about church buildings and Sunday morning worship services, which are also man-made, Advent can be a wonderful tool to help us deal with all the stress of the holidays. Each Sunday during Advent at Faith Church begin worship with the lighting of the Advent Wreath candles, and short reading and prayer designed to help us prepare for Worship. That brief ceremony is a taste of a much larger personal emphasis that we can place on Advent. Advent, itself, means “arrival or coming”. It refers to the coming of the King. The entrance of Jesus into our world. When we celebrate Advent we are preparing ourselves for the coming of the King. How, then, should we prepare? If you look on the communion table, or the front the cover of our bulletin, we display the color of Advent, which is purple. Three of the four advent candles are purple. This color gives us a clue for how to prepare ourselves to worship the King. Purple is the color of a bruise. A bruise hurts, but the purplish, painful spot reminds us that after injury, healing is taking place. During Advent we face the injury of our sins, and with a penitent heart, we confess our sins, and ask Jesus to heal us. Advent is like a bruise on our spiritual lives, helping us to heal so that when we gather for worship on Christmas Eve, we will erupt in praise that our Savior has been born! So rather than allow yourself to get sucked into the frenzied vortex of Christmas, I urge you to prayerfully slow down and examine your lives by entering into the season of Advent. People say that their two greatest fears are death and speaking in public. In Luke 12:1-12 Jesus talked with his disciples about these two fears. Perhaps what he said will help you overcome those fears! In Verses 4-7 he refers to the fear of death. Do not be afraid, but do fear God, he loves you. There is a logical flow of thought here. He says specifically, “Do not be afraid of those who can kill the body. Don’t be afraid of wicked men.” In the wake of so many mass shootings and terror attacks, it is really easy to be afraid of wicked men. What is Jesus getting at? He goes on to say that we should fear the one who can throw us into hell. Who can do that? God. So we should fear God. Fear God? Like…be scared of him? Should we be afraid of God like we would be afraid of wicked men? It would be quite odd for Jesus to say that, wouldn’t it? So what is he talking about? Throughout the Bible, especially in the book of Proverbs, we are taught to fear God. The fear of God is about seeing God with awe, with respect! When we fear God, we aren’t scared of him like my kids who refused to go up to the really scary house this past Halloween. Instead we love God, we want to be with him, know him, and follow his ways. So Jesus is saying that we might lose our life, but that is not as important as the loss of faith. In other words, we should be more concerned about our saving our soul than about saving our life. He goes on to illustrate this concept of fearing God as the one who can deal with our soul by referring to one of the most common foods in Israel, sparrows. They were a dime a dozen, and because many of the people were poor peasants, sparrows were a staple of their diets. Jesus says that though they are cheap, sparrows are not forgotten by God. So this God we are to fear loves lowly sparrows. Then he explains further that God knows us so well, he’s got all the hairs on our head numbered. This shows how thoroughly he cares for you, how well he knows you. And Jesus concludes, then, that we need not be afraid, because we are worth more to God than sparrows. This passage resonates with me because I don’t like the thought of death. Frankly, even though I trust in the hope of eternal life, I don’t want to die. But Jesus reminds us that God loves us. He knows us thoroughly, he cares for us. And we are worth so much to him. How amazing is that! God considers us to be of great worth. Perhaps you need to spend time reflecting on how much God loves you. How he thinks you are worth his time, his energy, his love! So we do not need to fear to death. 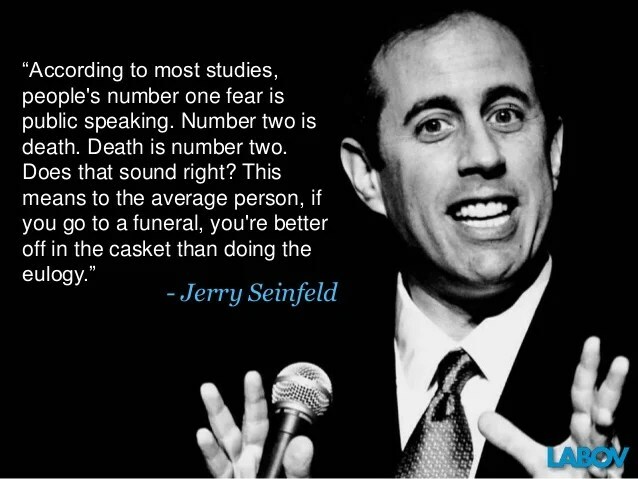 But maybe public speaking will always be terrifying? In Verses 11-12 Jesus talks specifically about some help for those who are afraid of speaking in public. Specifically he refers to a time when the disciples might get arrested for being a follower of Jesus. We may or may not have to be in a situation where we are arrested. But we all will get in situations where we are sharing our faith, and we can be assured that the Holy Spirit will teach us what to say. We have the Holy Spirit with us! He will teach us what to say. One of the reasons why people don’t share their faith with neighbors and friends because they don’t know what to say. But Jesus says we have the Spirit. So we don’t need to be ashamed. We don’t need to be afraid! This reminds me of the story of Nehemiah in the Old Testament. He was a Jew who had been exiled, and he heard that his beloved city of Jerusalem was in ruin. He felt burdened to go back home and rebuild the wall around the city. As a trusted cupbearer to the foreign king, he decided to ask the king’s permission. What I love is how often Nehemiah prays in his story. Sometimes the prayers are really short sentence prayers under his breath, or in his head, as he is about to do something. As he stands before the king, Nehemiah had a distressed look on his face, a display of emotion that was not acceptable when having an audience with the king. So we read that Nehemiah prays to God before he dives into his request of the king. I love that detail. Nehemiah was a man who knew that he needed God’s help before he spoke in public, in a very tense, nerve-wracking situation. One time Michael Bay, famed movie director, needed help with a public speech, and he didn’t get it. Take a look at this video. Jesus tells his disciples that they do need a teleprompter! If they don’t know what to say, they can depend on the Holy Spirit for help. That is an amazing thing to consider. God’s Spirit who lives with us will help us know what to say when we have the opportunity to speak up for him. Don’t be afraid to speak up for the Lord. Ask the Holy Spirit to give you the words to say! Ask him to help you tell your story. I found a great article where a professor of evangelism talks about his struggles with it! What do you think are the things that people fear the most? Death is #2. What is number 1? Speaking in public. #1. More scary than death. I think we see this fear at work at Faith Church during Sunday worship almost every week. We want our want our worship service to emphasize participation. Rather than spectators, we want everyone to get involved. So we include a brief open mic sharing time most weeks right after we sing praises to God. Some of you have no problem grabbing the microphone and sharing a story of God’s work in your life or a prayer request. Some of you will share only if the situation is urgent. Others, however, would never, never share. It doesn’t matter if you had the worst week in the history of bad weeks. You will not share. Why do we hate to speak in public? All the attention is on us. We’re afraid of being humiliated if we mess up, and all those people are looking at us and they’ll see it. That will feel awful! And what if we are boring and no good at it? 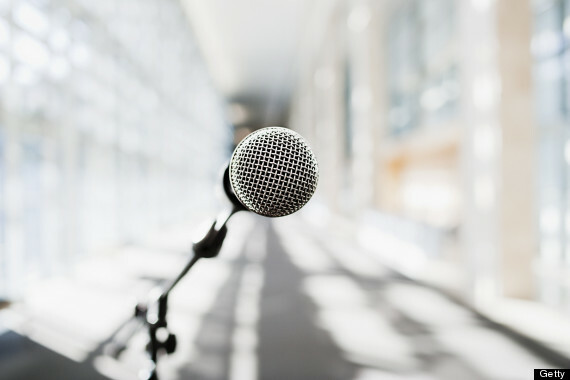 There are so many other GREAT speakers, who are we to try? We’ll never come anywhere close to being like them. So forget it. And then there is the fear of death. A few years ago I had a period of 7 months where I officiated 8 funerals, including at least one in each month. It was like death kept being thrown in my face over and over. I’ll admit that I didn’t handle it well. I couldn’t stop thinking about it, and it really affected me emotionally. I remember watching an NFL game during that stretch thinking “these guys are so vibrant, but they will all die.” Every time I got in the car, I thought about how many accidents people have. It took a long time to shake the fear of death. Though I have faith in Jesus’ wonderful promise of eternal life, I still struggled, and sometimes still do, with the fear of death. Studies say that many of you feel the same way. In the passage we’ll be studying on Sunday, Luke 12:1-12, Jesus addresses both the fear of death and the fear of public speaking. What he says is quite interesting. These two fears matter. These two fears impact the work of his kingdom. If we cannot address these fears properly, we could be putting ourselves into a very risky situation. So join us at Faith Church on Sunday as we’ll take a look at how Jesus teaches his disciples to avoid that risky situation.